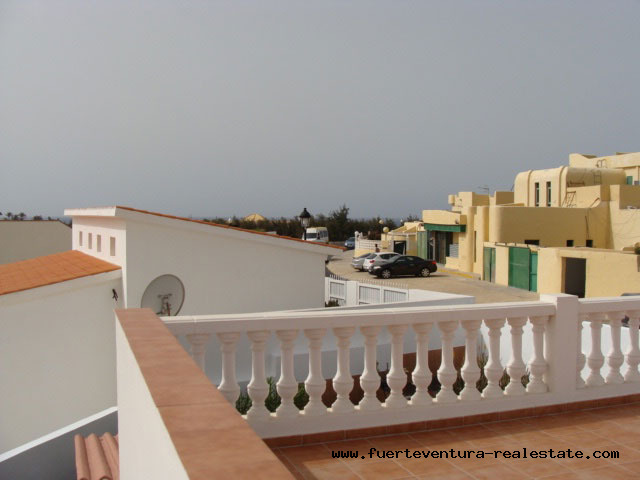 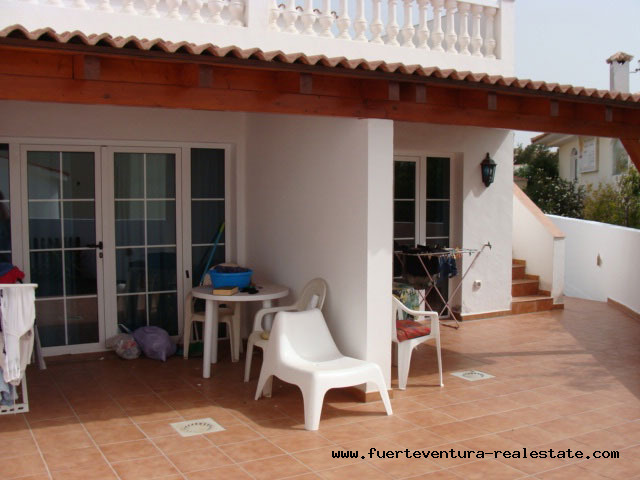 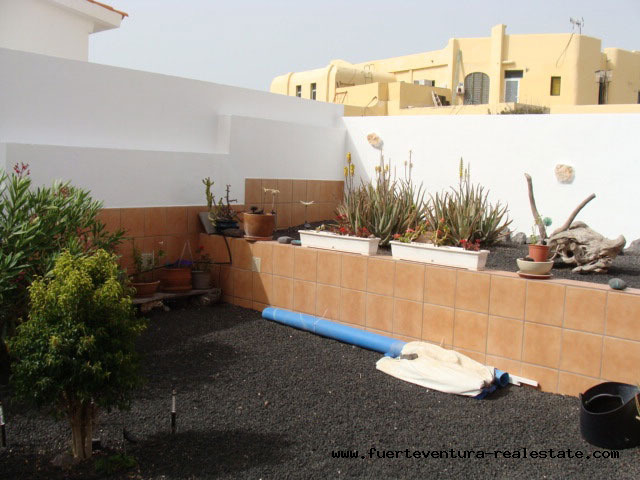 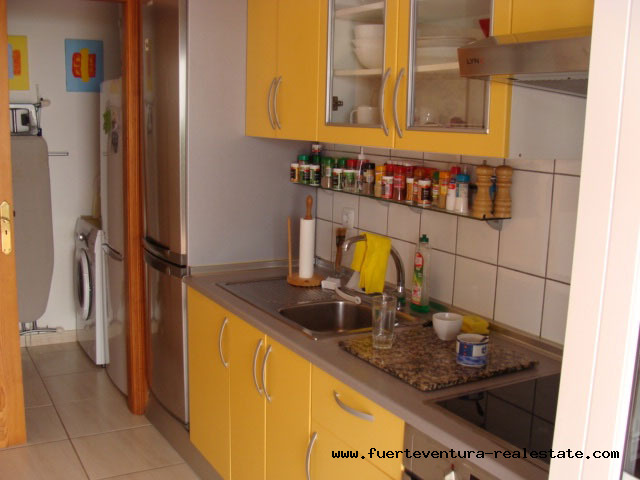 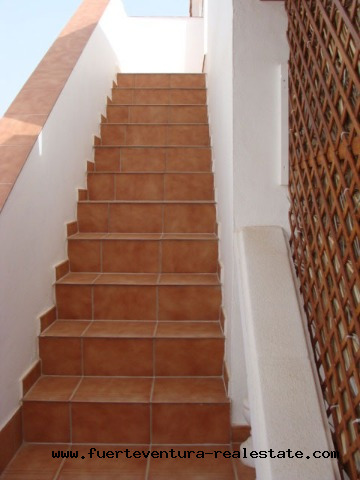 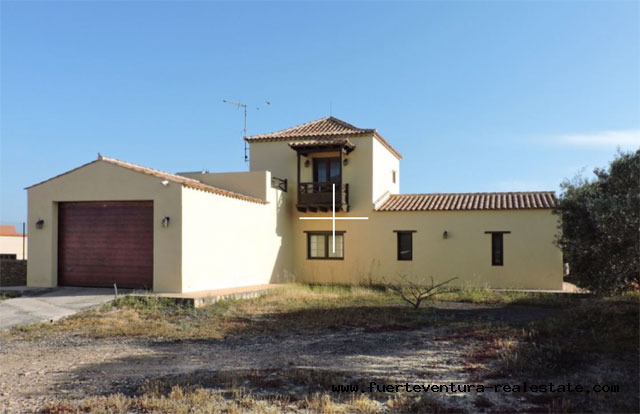 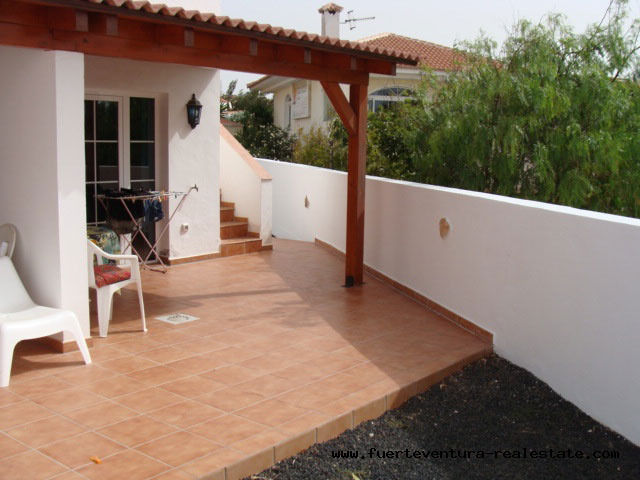 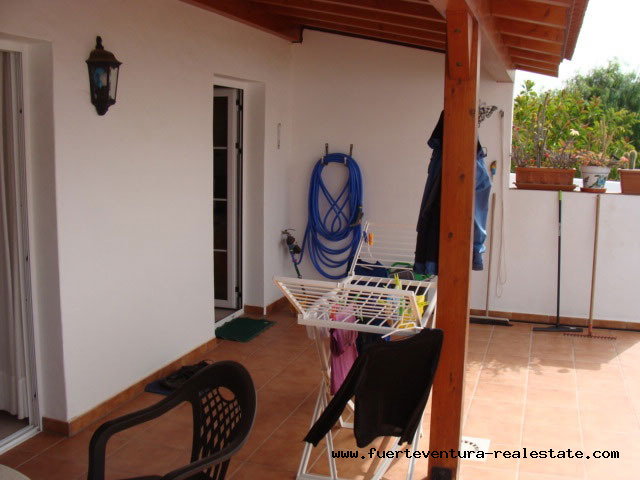 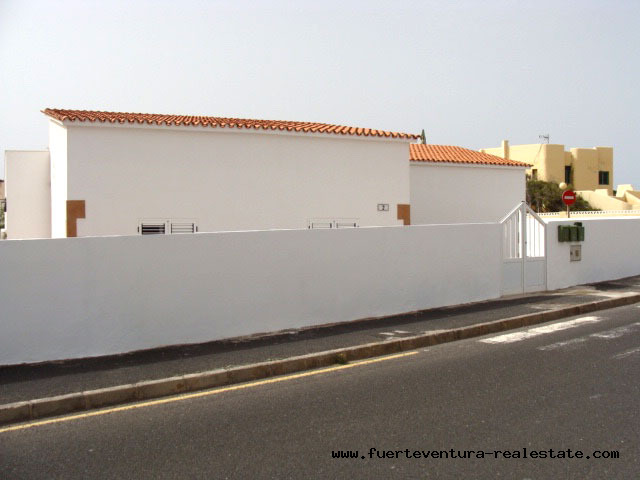 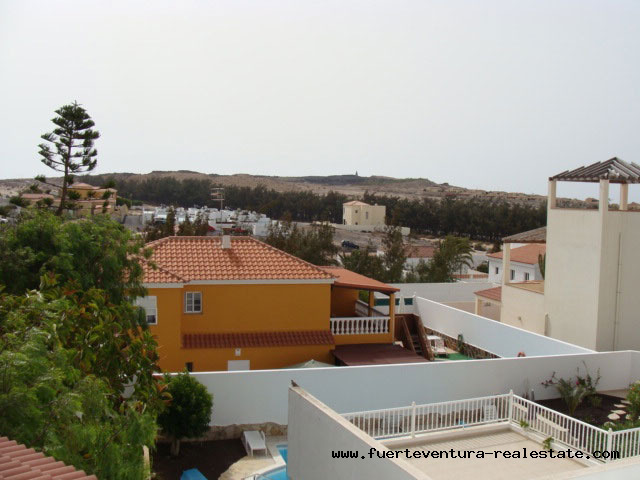 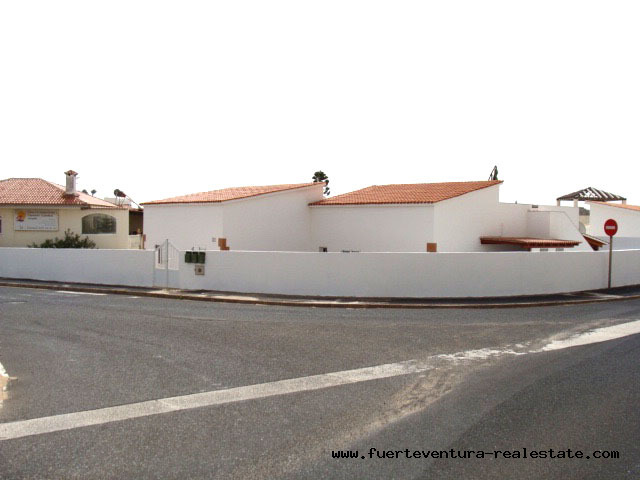 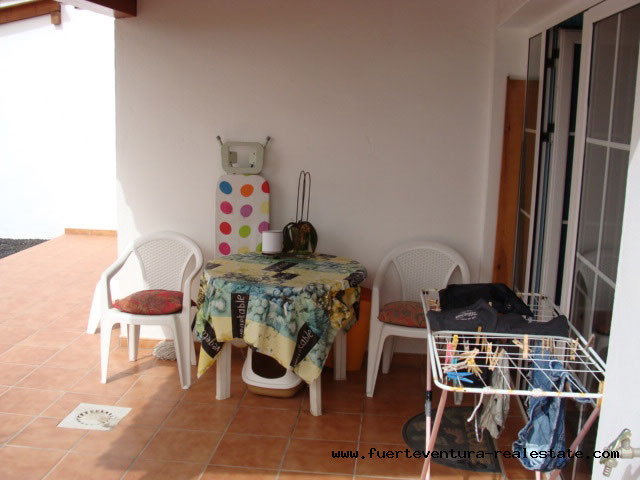 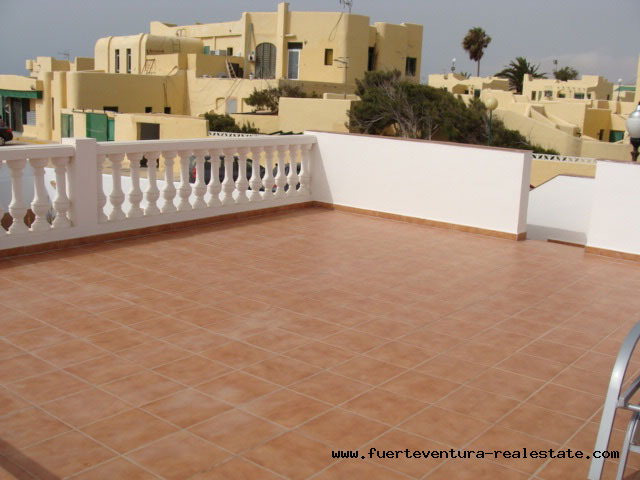 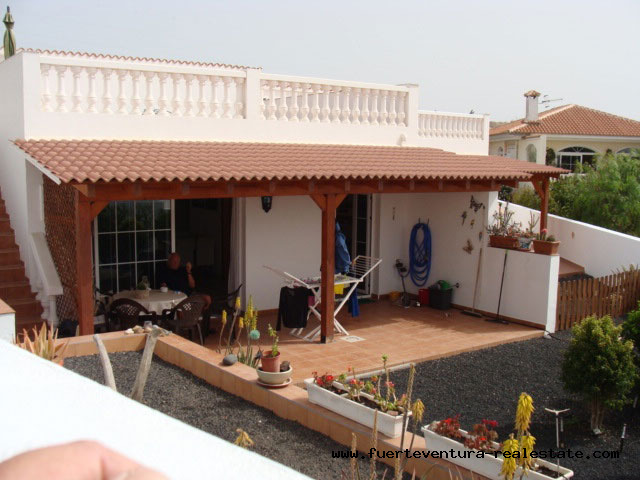 We sell a beautiful house with a very good location on the Costa Calma. 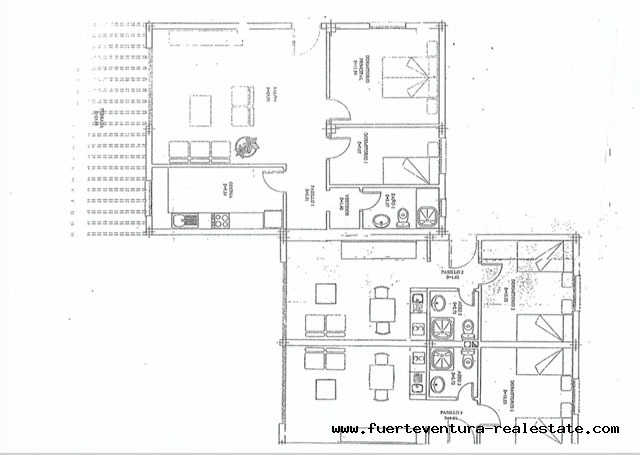 The house is divided into a main building and 2 apartments, type studio. 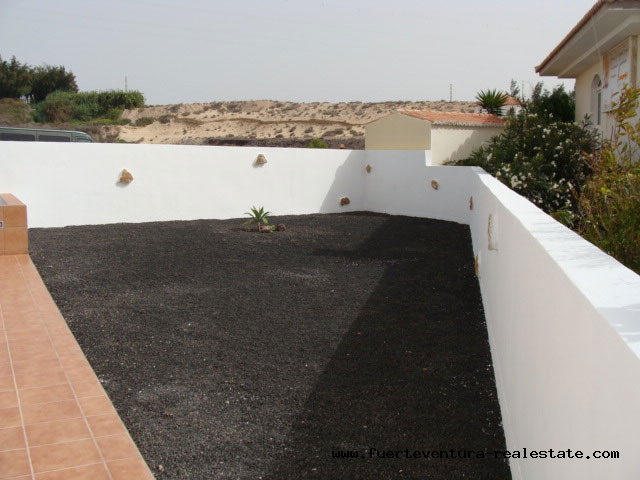 The villa has a total construction area of 144 sqm. 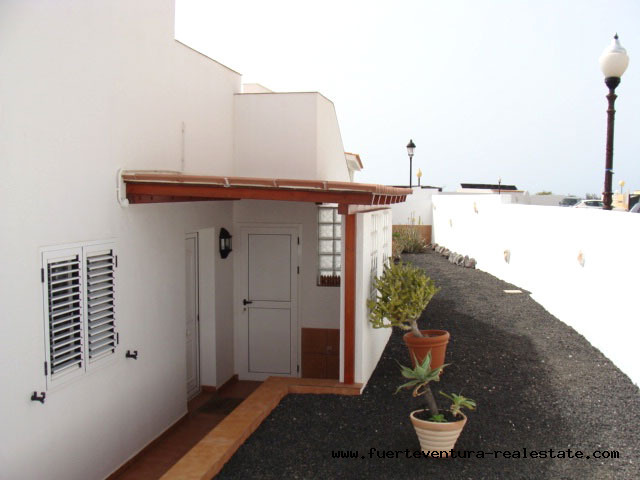 The main house is divided into two bedrooms and a bathroom, living room, kitchen and a terrace with garden. 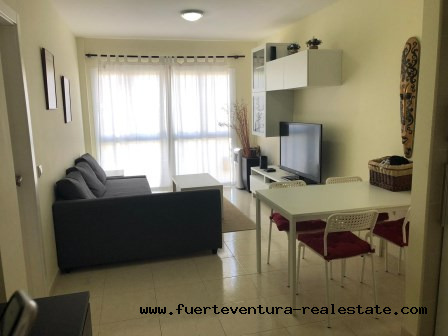 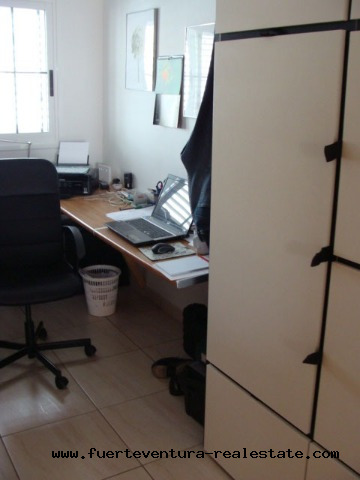 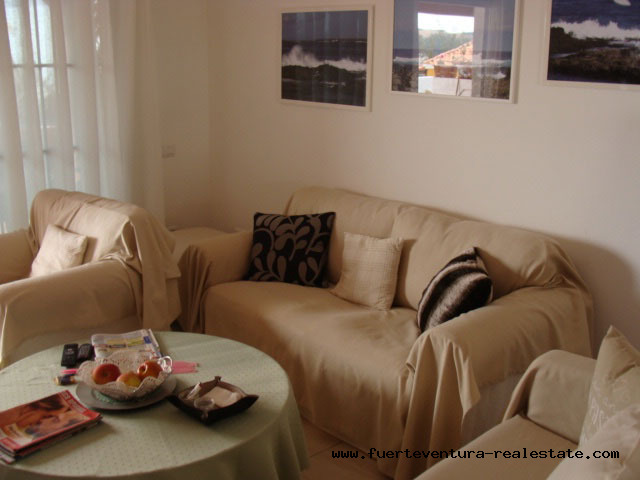 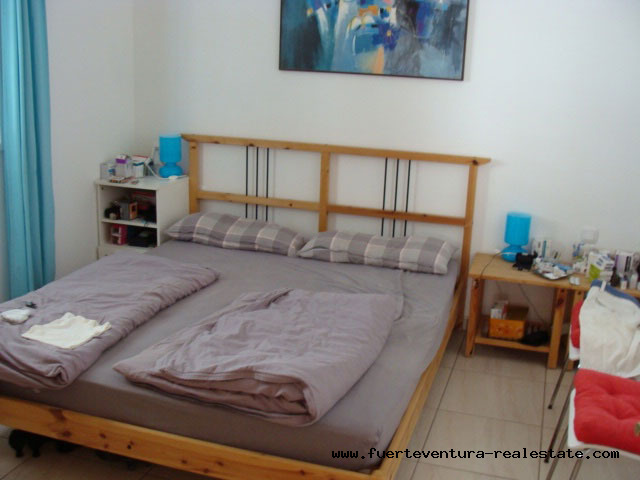 This property is a safe investment because you can realize the rental of the 2 studios. 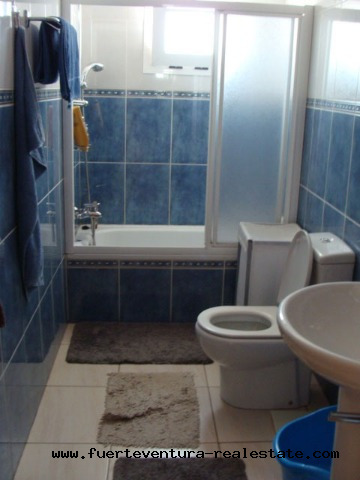 Of course, the main building can be rented or you live there yourself. 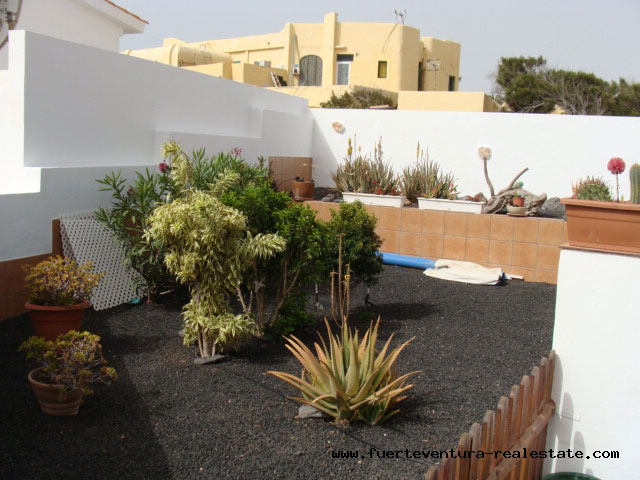 The house and the garden are in excellent conditions. 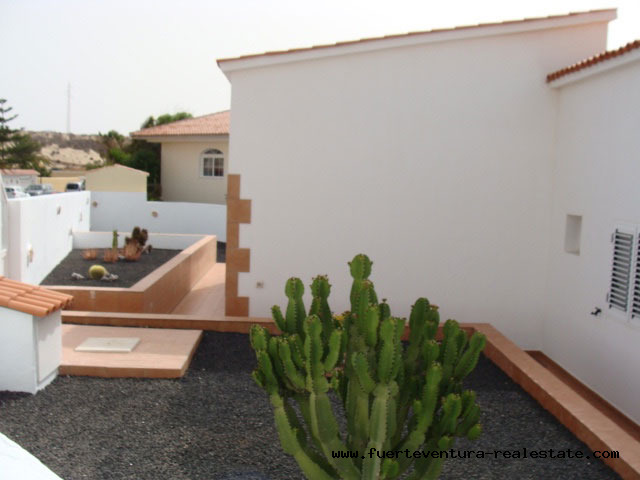 A visit to the villa is recommended, so that you can get a good impression of the property. 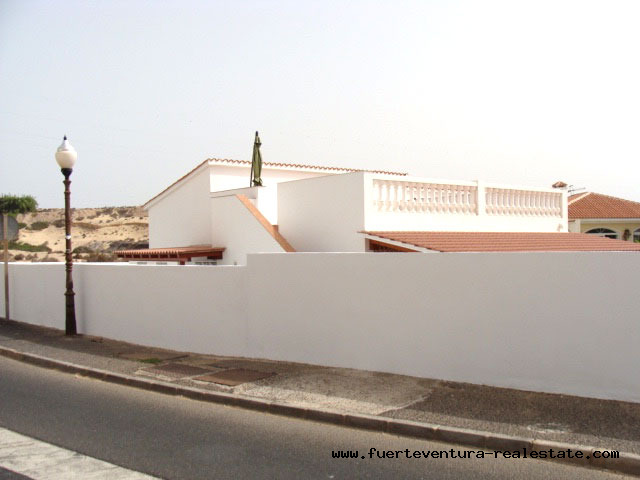 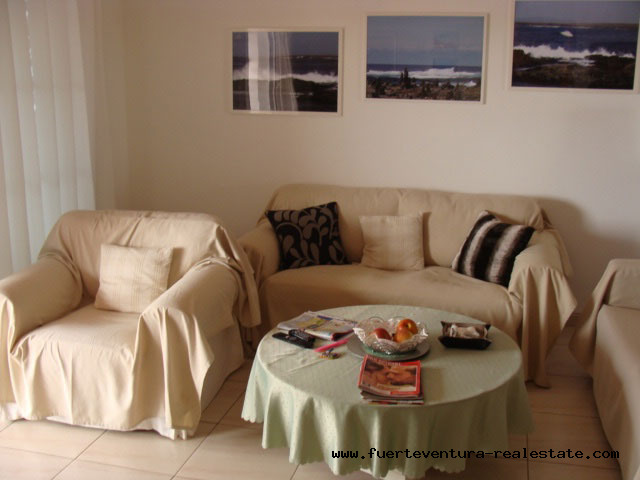 Costa Calma is located about 70 km from the airport in a quieter and more pleasant area of Fuerteventura. 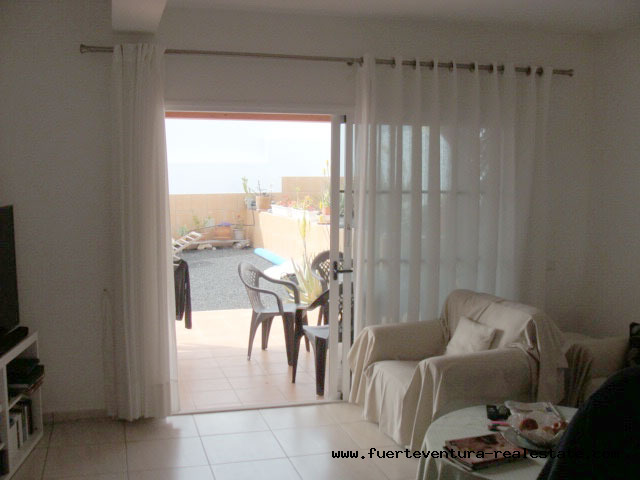 With 27 km of sandy beach and crystal clear water. 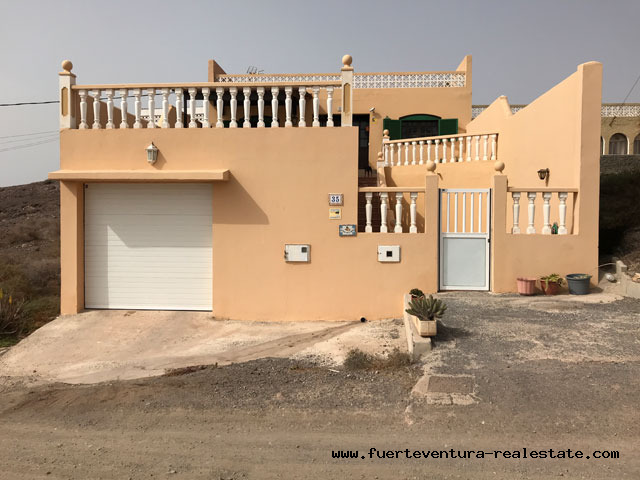 Costa Calma is a tourist municipality on the island of Fuerteventura in the Canary Archipelago (Spain), which is located off the coast of North Africa. 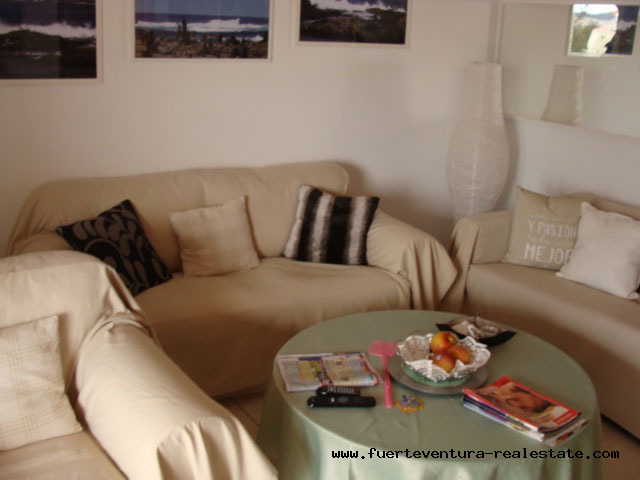 The island is known for its shallow water beaches, such as Sotavento Beach, where international sporting events are organized. 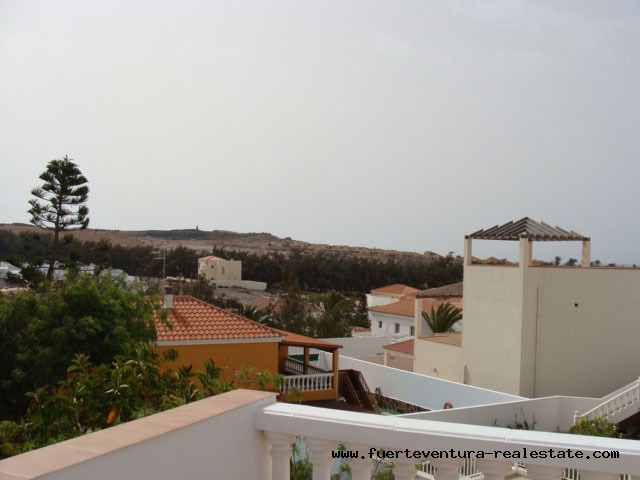 To the northeast, the town of La Lajita has the Oasis Park Zoo and the adjacent Botanical Garden. 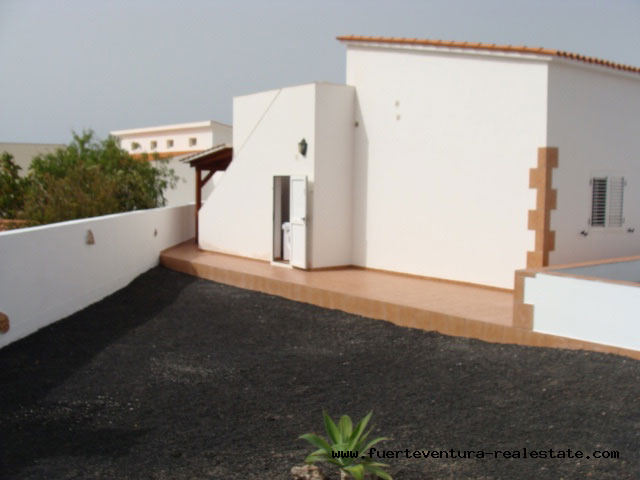 The Jandía Natural Park, with its many bird species and volcanic peaks, dominates the peninsula to the southwest.